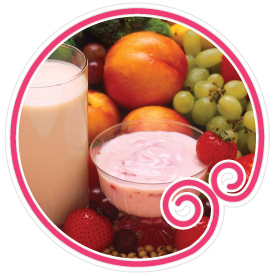 Sincerely Yogurt®, gives you the freedom to customize your very own, nutrient-packed frozen treat! Choose from a variety of scrumptious frozen yogurt, custard and sorbet flavors, and then add your favorite toppings - we have over 80 toppings to choose from! Load it. Top it. Love it. With so many options, there are countless yummy combinations for you to enjoy. Experience frozen yogurt the way it’s meant to be, Hollywood-style! And, if you are worried that enjoying such a treat is expensive — don’t be — Because of our operating strategy, we offer the lowest prices around. Sincerely Yogurt not just a business. We are a source of educating the public on healthy living. Come and be part of our Team! Learn more on how you can get started with the Sincerely Yogurt Franchise. 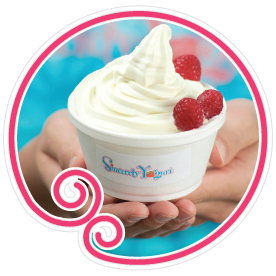 Sincerely Yogurt® is one of the fastest growing self-serve frozen yogurt stores around. Look for us at one of our 16 locations!